Pete's directorial range embraces Long Form down to the 10 second bumper and has won gold and silver One Show Pencils, Silver and Bronze Lions and much more. His favourite recent work is 'Monsters Attack Plane' , a collaboration with his 5 year old son and is sure to be a massive hit on the playgrounds of Mt Albert. 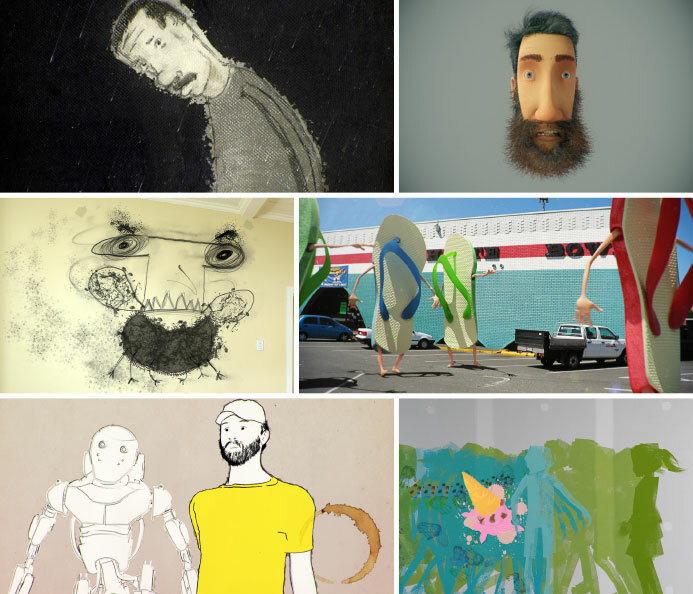 Award-winning animation director Pete Circuitt has earned international acclaim creating things of unique beauty. His long form animated Christmas special, “Yes, Virginia”, has been hailed by critics as a new American classic and reaches more than five million viewers each year on CBS. Since its debut, the program has collected a multitude of awards including a One Show Gold Pencil and two Cannes Silver Lions. The film’s heroine, Virginia, was recently immortalized as a large scale float to be hauled through New York next to Charlie Brown for the classic Macy’s Thanksgiving Day Parade; a true testament to Pete’s masterful ability to create well-loved and enduring animated characters that make things happen. A native of South Auckland, New Zealand, Pete completed his studies at the Victorian College of the Arts in Melbourne, Australia, where he graduated with honours. Since expanding into commercial work, Pete has crafted innovative campaigns for high profile clients including Budweiser, Royal Bank of Canada, Macy’s, Carlsberg, and Microsoft ZUNE for which his spot entitled “Monster” was honoured with an AICP award for animation. Pete joined The Sweet Shop director roster in May 2012 for global representation.